Schoeller Allibert have recently strengthened their sales and marketing team to focus on the future growth of the business. Schoeller Allibert invest in new personnel and new machinery to strengthen it’s position as a leading manufacturer of returnable plastic packaging. With key enhancements to the team including a brand new area sales manager for Scotland, Tony Woods and restructuring the internal sales team, Schoeller Allibert now have an internal sales national sales force and key accounts team which are dedicated to providing unrivalled customer service. 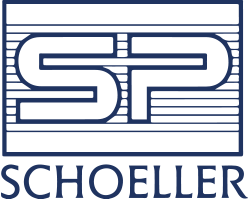 In addition to Tony mentioned above, within the last 6 months, Schoeller Allibert have added a further 4 Area Sales Managers – Adam Green, Paul Stolworthy, Matthew Ackers and Richard Rothwell, with Victoria Rhodes taking the leadership role as Head of National Sales. Key accounts, managed by Eugene McLaughlin has also seen some significant experienced personnel joining with Esther Bussell and Gero Liotti supplementing the already well established team. Finally the new market analyst Richard Brown is also a welcomed addition to the marketing team. In a position rarely adopted by manufacturing companies, Schoeller Allibert have the foresight to see the value of understanding our customers and our market position better, helping to retain their top position as the leading European manufacturer of returnable transit packaging (RTP). I am really pleased with our appointments and this together with substantial investment in new machines within the factory; the new sales and marketing teams will provide the ideal platform to support the business focus on growth whilst continuing to provide the high level of service to our current valued customer base. Sales and Marketing Director Damian Gilbertson said. Schoeller Allibert is now the world’s largest manufacturer of reusable plastic packaging for materials handling. With headquarters in the Netherlands, it has more than 20 production and sales operations World-wide. The product portfolio incorporates foldable large and small containers, bulk containers, plastic pallets, stackable and nesting crates as well as dollies and lids. The range includes the iconic Maxinest tray, Maxipac bulk unit and the Magnum Optimum. In addition, Schoeller Allibert also offers tailor made systems for specific customers and industries. The group employs around 2k people and group turnover was €519m in 2016.